Tabu or Tabassum Hashmi Khan was born on November 4, 1970, in Hyderabad, Andhra Pradesh. Her parents divorced soon after she was born. Tabu’s mother was a school teacher while her maternal grandparents were retired professors who ran a school. Her grandfather was a Mathematics professor while her grandmother was an English Literature professor. 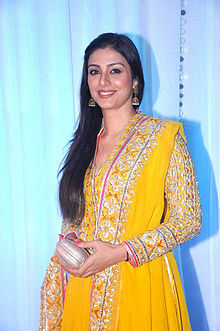 Tabu moved to Mumbai, in the year 1983 and studied at the St.Xavier’s College. 1997, National Film Award for Best Actress, Maachis. 2002, National Film Award for Best Actress, Chandni Bar.